Z-OptimiZr for File Servers, our optimization software solution for file servers, reduces the size of all MS Office files and Image files stored on your file servers without changing their file format. Rendering quality of the optimized files is fully preserved. Consumers of the files do not need any specific software since the files optimized by Z-OptimiZr remain in their original format. 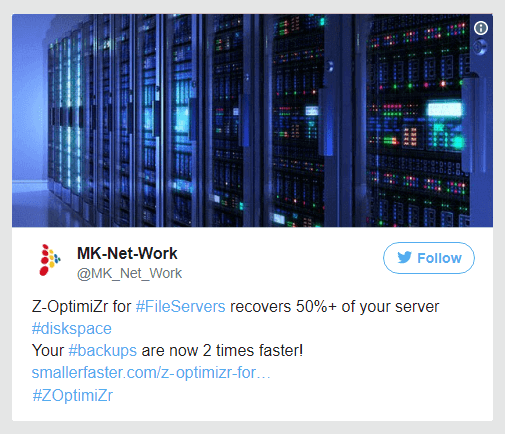 Minimizing the size of all files stored on your file servers using Z-OptimiZr for File Servers enables you to recover 50%+ of your server disk space and to keep the growth of your needs for additional server disk space under strict control. 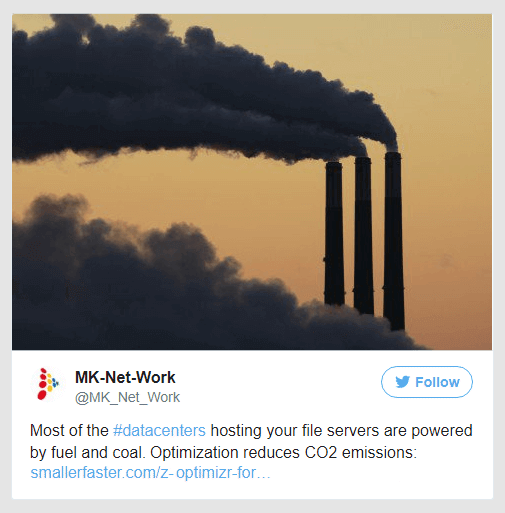 File server optimization also delivers numerous cascading benefits in terms of file server and network performance improvements, and cost reductions. The larger is the amount of file server data, the more time it takes and the more network bandwidth it consumes to access it (file downloads, uploads, synchronization, backup and restore operations etc.). Particularly if your file servers are remote or in the Cloud, every single file uploaded by user A and downloaded by user B has to go up and down through the WAN, even if user B is user A’s next door colleague. This puts a serious pressure on your network links to your file servers and may have an impact on performance. Minimizing the size of all files using Z-OptimiZr for File Servers, our file server optimization software, or Z-OptimiZr for Cloud Storage, our client-side optimization software, helps avoiding network performance issues. 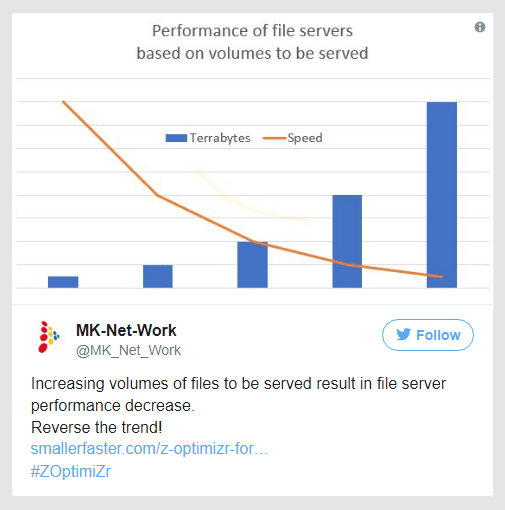 Additional to network performance benefits, 50% smaller files are also processed 2 times faster by your file servers (think about Disk IOs consumed by read and write operations). This is a serious reduction of your file server workload that results in significant performance improvements. And backup and restore operations are also processed 2 times faster, as well as the other file server operations processing large numbers of files, like indexing, anti-virus scanning and cluster replication. 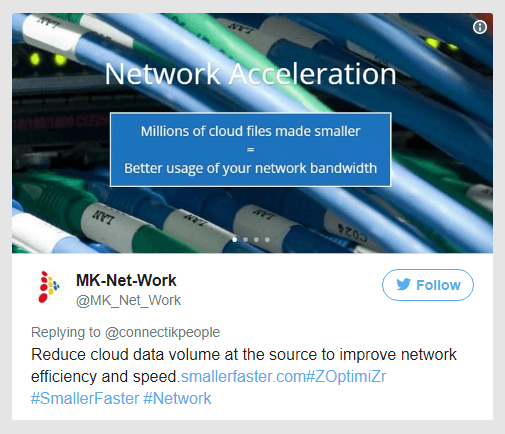 Smaller files consume less network bandwidth when uploaded and downloaded to/from your file servers (would they be on-premise or in the Cloud). 2 times Smaller files are thus uploaded and downloaded 2 times faster by the users. 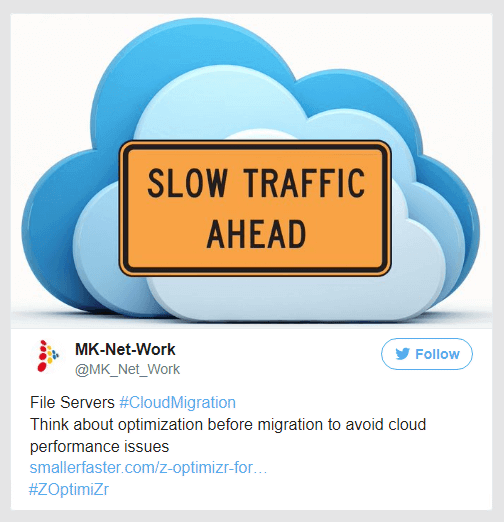 Making file server files smaller using our optimization solutions benefits to the file server users, but also to the other users of the network (think about interactive apps) because files generally consume most of the network bandwidth and are the main cause of network performance issues. It is sometimes surprising to see the amount of money spent on over-complex LAN and WAN compression or storage compression devices (delivering no compression results on MS Office files and picture files like JPG files that cannot be compressed by these devices, although they account for the most significant part of the network traffic and file server disk space consumed). In comparison, our optimization software solutions like Z-OptimiZr for File Servers and Z-OptimiZr for Cloud Storage are much cheaper and simpler to setup and to maintain. They deliver, on average, a 50%+ volume reduction on MS Office files, picture files (and other files as well). And since this volume reduction is permanent, it also applies to the file server disk space. 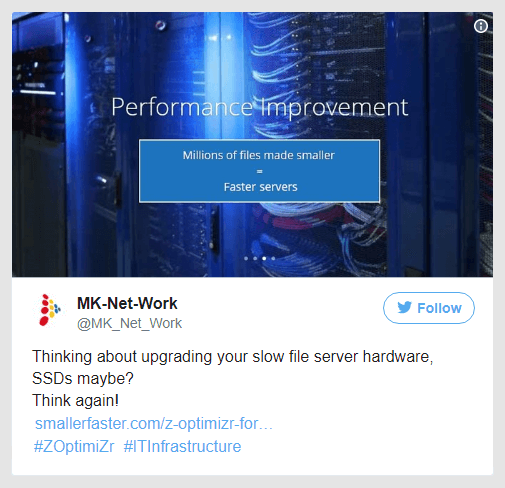 Faster backups is one of the numerous cascading benefits of optimizing your file Servers with Z-OptimiZr for File Servers. By freeing up 50%+ of your file server disk space, it also doubles the speed of your backup and restore operations. You can do full backups again! 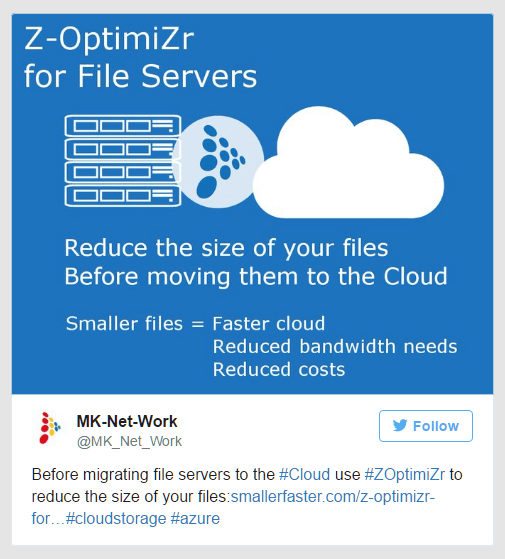 It is important to mention that the volume reduction delivered by Z-OptimiZr for File Servers is additional to the compression delivered by your backup software if any, (as is also additional to any disk and network compression delivered by low level compression software or hardware compression appliances). 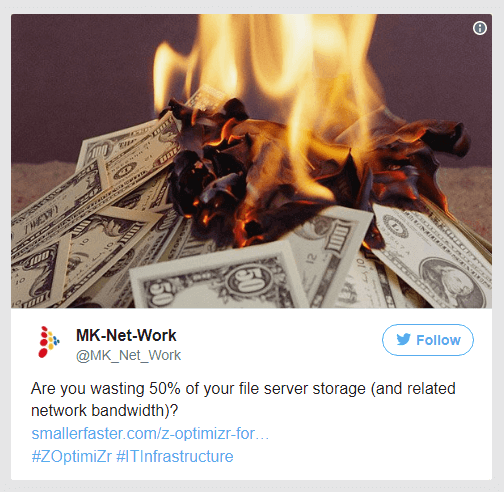 Of course, using our optimization solutions like Z-OptimiZr for File Servers or Z-OptimiZr for Cloud storage has a direct incidence on costs. With all of the files hosted on your file servers made on average 2 times smaller, you need less disk space, less servers and less network bandwidth. Your existing file servers can host more users and the growth of your needs for additional disk space and network bandwidth extensions is under total control. Remember that Most often, a given file is stored more than one time (think about file server clusters, backup and archiving for instance). So for each given file, the real amount of storage resource consumed can be several times the initial size of the file. Thus if you reduce a 10 MB file to 5 MB, the total storage savings are probably closer to 15 MB than to 5 MB. 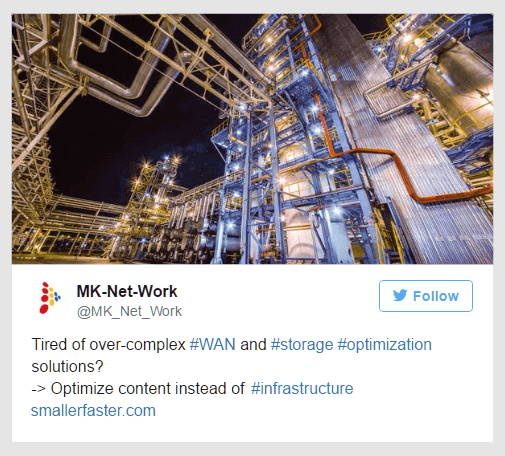 This contributes to still improve the ROI of our file server optimization software. Uploading and downloading a 5 MB file is 2 times faster than doing the same with a 10 MB file. 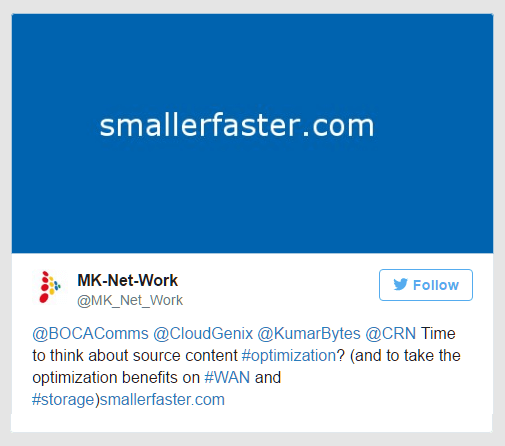 Your file servers consume 2 times less resources to serve files made 50% smaller by our optimization solutions. The amount of network bandwidth consumed by file uploads and downloads is also 2 times less with 50% smaller files. Thus Z-OptimiZr for file server and Z-OptimiZr for Cloud Storage improve drastically the overall performances of your file servers and consequently the productivity of your file server users (as well as their level of satisfaction). 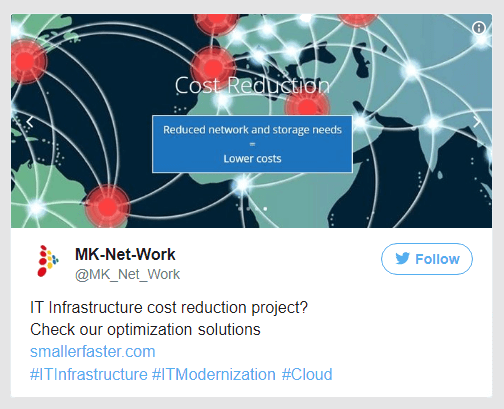 Obtaining the same level of performance improvement by doubling the power of your file servers and doubling your network bandwidth would cost a fortune compared to using our optimization software, and would only absorb a limited given amount of traffic (for instance x Terabytes). Contrary to hardware extensions, the ROI of our optimization software is proportional to your file server traffic (since it cancels a given percentage of this traffic). 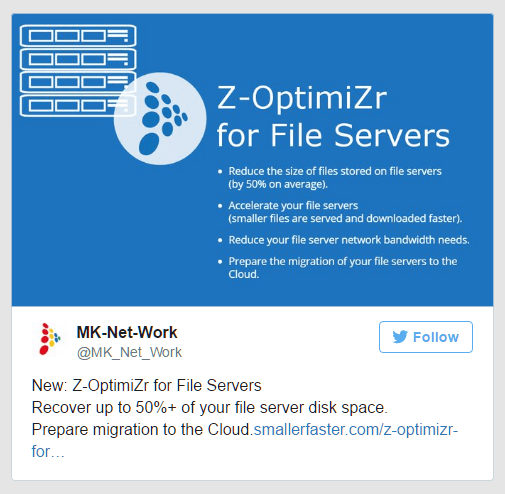 The more your file server traffic grows, the more the ROI of our optimization software grows! Migrating on-premise file servers to the Cloud generally implies uploading terabytes of files to the Cloud. Millions of Files stored on your on-premise file servers and NAS devices, maybe even files stored on hard drives attached to user computers have to be uploaded to the Cloud. Using Z-OptimiZr for File Servers Making these files smaller not only accelerates their upload to the Cloud but also guarantees the best possible efficiency of your future cloud infrastructure. 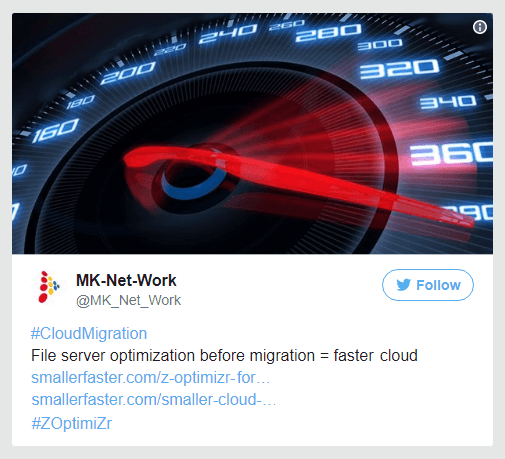 Take the opportunity of this cloud migration process to use Z-OptimiZr for File Servers and / or Z-OptimiZr for Cloud Storage to reduce the size of these files. With features like Native MS Office file optimization and Native image file optimization our optimization solutions can reduce the size of your files by 50% (or even more) on average. The resulting files remain in their original format and their rendering quality is fully preserved. Thus the optimization process is fully transparent for the users. More details on the interest of our optimization software for the Cloud. 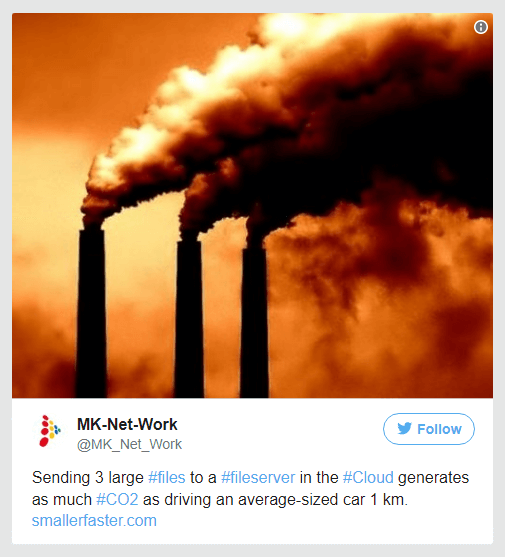 Did you know that sending and receiving few large files to a remote file server or to a cloud storage service puts as much CO2 into the air as driving an average-sized car 1 km? 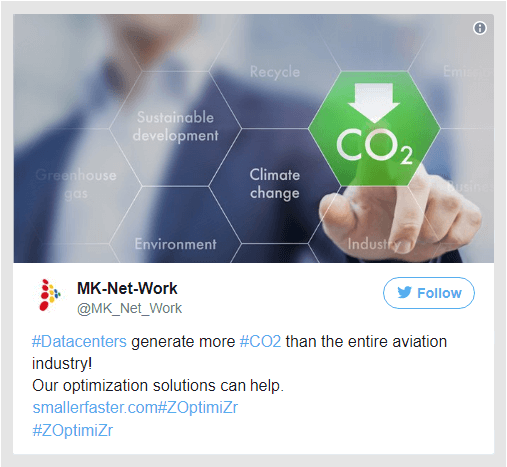 Not only our optimization solutions like Z-OptimiZr for File Servers and Z-OptimiZr for Cloud Storage do deliver impressive file server storage space savings, network bandwidth savings and performance improvements, but they also deliver very significant benefits in terms of carbon footprint.